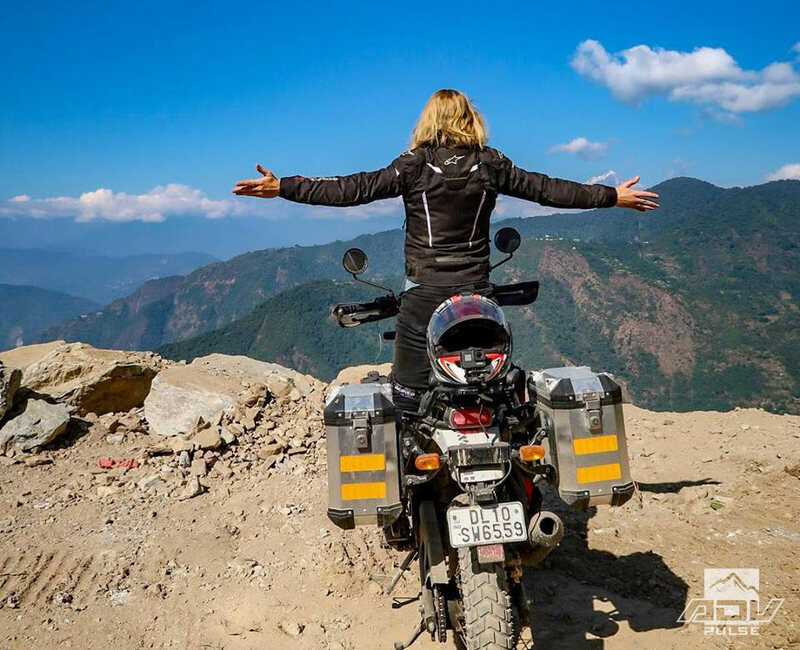 Following her dream of traveling the world, Noraly Schoenmaker quit her job, sold all her possessions and hit the road solo on her trusty Royal Enfield Himalayan last December. Since she set off, Noraly has been on a continuous journey covering over 16,000 km through 7 countries with no plans to stop. 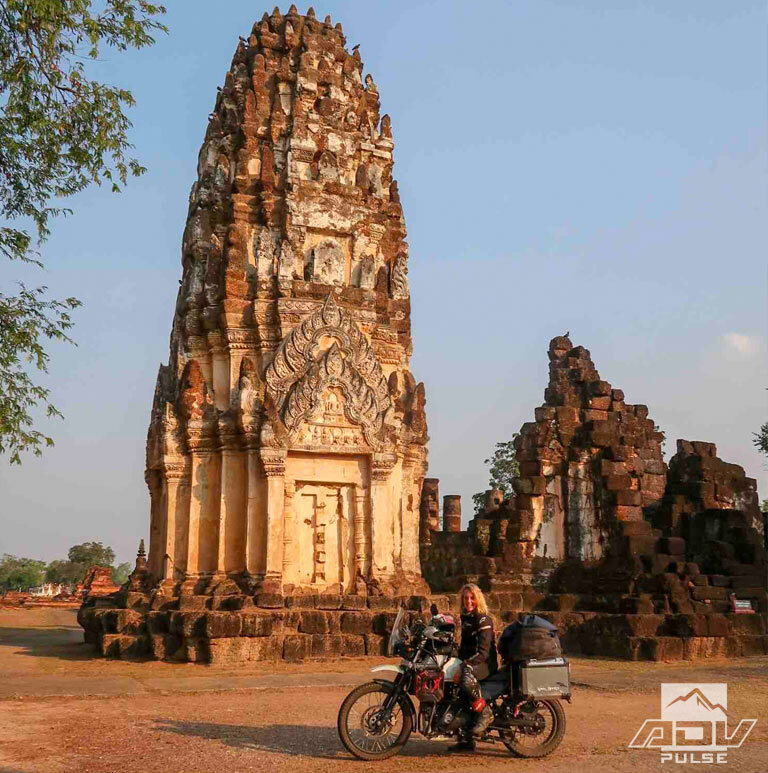 The 31-year-old Hollander is no stranger to solo adventure travel, having spent two years backpacking around the world in her 20’s. A professional geochemist, she tells us that just out of college she made good money working in the gold mining industry, which allowed her to support her free spirit as she traveled the world on two feet. After going broke on the road, she returned to the Netherlands homeless and took a new job to save money in hopes of one day returning to being a full-time explorer. With that she returned to the Netherlands, quit her job of five years, and proceeded to sell her house and all her belongings, including the Ducati. 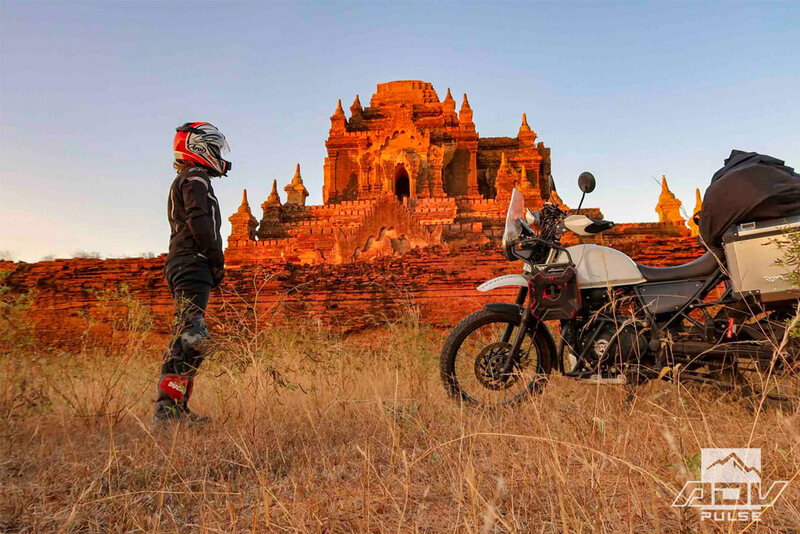 Once free of her material life there, she bought a one-way ticket to Delhi and purchased her 2018 Royal Enfield Himalayan. While waiting in India to get permanent plates and registration for the Enfield, Noraly spent time learning how to perform basic maintenance and repairs on the bike. After departing India in December of 2018, Noraly has so far traveled through Myanmar, Thailand, Malaysia, Oman, UAE and was in Iran when we caught up with her, awaiting news of a visa for Turkmenistan. “I just plan and organize everything on the road,” she says of her loose travel style. 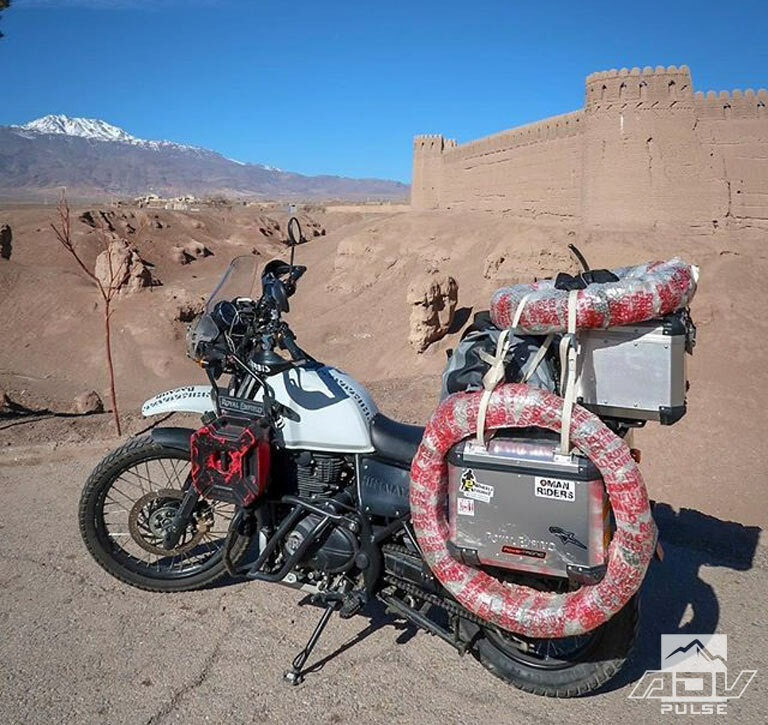 “And because my route is not set, I can easily change it according to circumstances.” If allowed into Turkmenistan she intends to ride through Uzbekistan, Tajikistan, Kyrgyzstan, and then onto Europe. 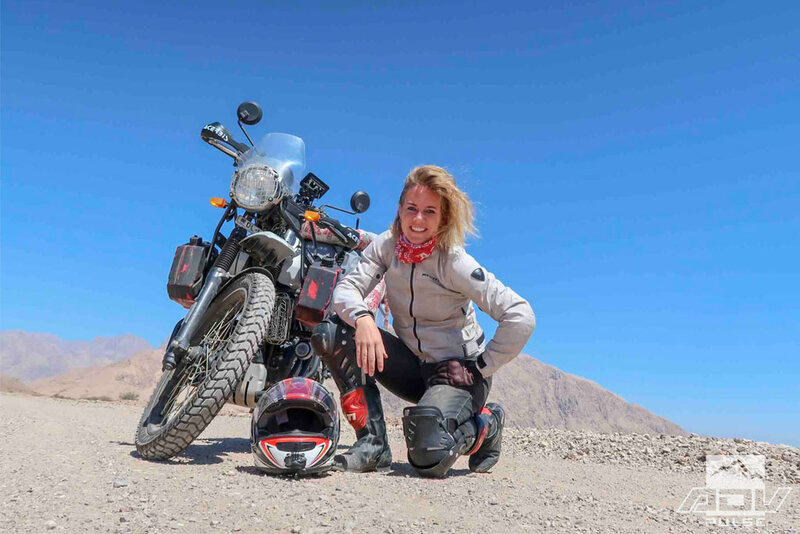 Noraly has gained many unforgettable memories throughout her journey, but her most memorable experience so far is riding alone in the desert. “I’ve never done that before and on this journey I’ve already encountered two long stretches of desert: in Oman and Iran. There is just something about the endless sands stretching until the horizon and nobody else but you and your motorbike. I don’t think I will ever forget that feeling of my desert rides,” she says. This newbie RTW-rider is keeping the world up to date on her adventures via her blog itchyboots.com and her YouTube channel.